Congrats on starting the 2017-2018 school year! Here at ChiArts, we’re getting excited to meet you at our upcoming admissions events, such as Backstage Pass, Family Visit Nights, Shadow Days, and more. If you’re a parent of an incoming CPS freshman, from October 10 to December 15, 2017, you will have the opportunity to apply to ChiArts using Chicago Public School’s new application platform at GoCPS. That’s just around the corner, so now is the time to start getting ready to make these important decisions! Here is a guide provided by Chicago Public Schools to help begin your application process. To begin the account activation process, click here. If you have any questions about the activation process, contact the Office of Access and Enrollment at 773-553-2060 from 8 a.m. to 5 p.m. Monday through Friday, or gocps@cps.edu. ChiArts is committed to educating, embracing, and caring for every scholar-artist with as much knowledge and compassion as we can provide. 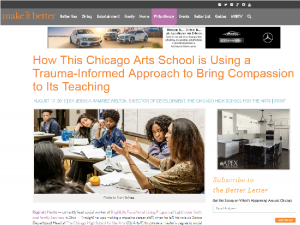 We are proud to announce that ChiArts is becoming a trauma-informed school. This August, we’ve hosted staff development days and formally introduced practices to cultivate a working model for the whole school. ChiArts aims to be an example for arts organizations all over the nation, where compassion is at the forefront of arts education. Chicago, IL, March 7, 2017 – The Chicago High School for the Arts (ChiArts), along with the school’s Board of Directors and event co-chairs John Hart, Pam Strobel, and Neal Zucker, will host its 6th annual Kerfuffle! benefit from 6-9:30 p.m. on Thursday, April 27, 2017 at the Chicago History Museum, 1601 N. Clark. Kerfuffle!, ChiArts’ spring gala and presentation, welcomes supporters, arts partners, and civic leaders. The evening will include a welcome cocktail reception, student performance “exhibits,” a short performance in the theater, dinner buffet by Jewell Catering, and entertainment throughout the museum’s second floor. 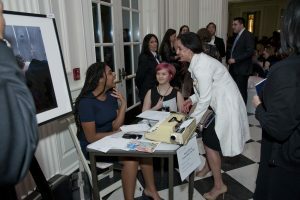 Guests will be able to interact with students representing each of ChiArts’ five arts conservatories: Creative Writing, Dance, Music, Theatre, and Visual Arts. The Chicago History Museum’s spacious ballroom will be furnished elegantly by Kehoe Designs and guests will enjoy wine generously provided by Hart Davis Hart Wine Company. Funds raised at Kerfuffle! are integral to the operations of ChiArts’ tuition-free arts programs, which serve 600 students each year. This year’s Kerfuffle! will feature the release of an original children’s book sponsored by State Farm Insurance. 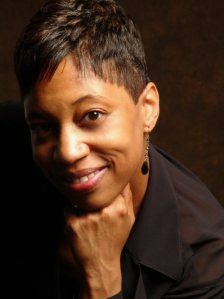 Anita’s Drum tells the story of diverse, creative children in Chicago seeking a place to learn and practice their art. 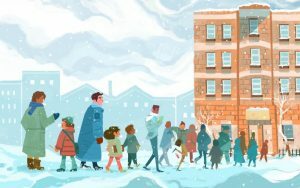 ChiArts has commissioned Visual Arts alumnus Alan Cortes and current Creative Writing major Ysobel Gallo to provide illustrations and narrative for the book, which will be featured in a presentation during the event. ChiArts is Chicago’s first and only public high school for the arts, providing each student with a pre-professional arts training program paired with a high-quality college-preparatory curriculum. Ranked in the top 6% of high schools by US News and World Report and listed as a 1+ school by the CPS School Quality Rating Policy (SQRP), ChiArts is a citywide institution that aims to reflect the racial, socio-economic, geographic, and artistic diversity of Chicago. For more information, please visit www.chiarts.org. April 27, 2017 – Save the Date for Kerfuffle! April 27, 2017, 6 p.m. to 9:30 p.m.
Join the city’s arts leaders and supporters at Kerfuffle! to celebrate the next generation of Chicago artists at this annual event benefitting The Chicago High School for the Arts (ChiArts). The evening begins with a welcome cocktail reception and visual arts showcase on the museum’s first floor. Guests gather in the auditorium for a stage performance, followed by dinner and student performance exhibits throughout the museum’s second floor. ChiArts student ambassadors will be on hand to share their many experiences and personal accomplishments.